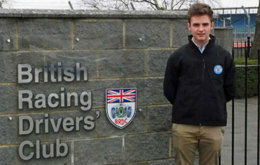 For drivers aged 24 and under the BRDC Rising Stars is a prestigious award. 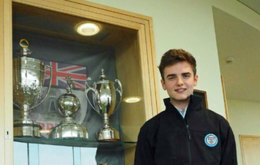 Scouted from trackside, the BRDC Rising Stars are in effect 'Junior Members' of the BRDC, all aiming for a long-term professional career within the sport. From all four-wheel racing disciplines, the Rising Stars represent the BRDC in a wide variety of championships worldwide and from the races contested while wearing the scheme's unique 'blue roundel' it is hoped a Rising Star will graduate to the ranks of Full Membership. 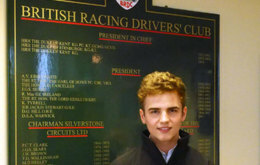 BRDC Rising Stars has a proven track record of selecting only the best individuals with Lewis Hamilton MBE and Alex Lloyd being two specific success stories from the Rising Star scheme's history. Once scouted by a member of the 'Rising Stars Scouts Panel', the driver is invited to Silverstone for an informal meeting. Following this meeting, the driver will be invited to become a Rising Star and providing his or her career continues with upward momentum, the ability to stay on the scheme until the year of their 24th birthday. From Formula Ford to Formula 3 and from British GT to BTCC, the BRDC Rising Stars will be in action throughout the season with BRDC SuperStars adding a second tier to the BRDC 'youth policy'. With the BRDC embracing this important sector of the sport the future of British motor racing is in safe hands.